A summer migrant that has been declining in numbers and range for the past century. 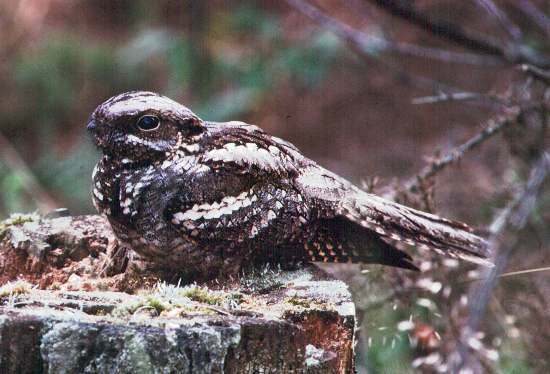 The nightjar breeds mainly in southern England but can be found as far north as central Scotland. Nightjars feed on large insects, and they require heathland and forest edge habitats, where they nest among short vegetation.